For some farmers, “organic” looks like an attractive deal. The switch from conventional farming may mean lower yields and greater labor needs, but the extra costs are incurred are often made up for through higher profit margins that come from charging premiums to consumers. At least that’s the conclusion in a recent study by two Washington State University professors, who found that premiums paid to organic farmers ranged up to 32 percent more than for conventional crops. Most customers who are willing to spend more for the “certified organic” seal or a “non GMO” label do so because of their belief that their food will be “safer,” “healthier” or more “environmentally friendly.” In the absence of convincing evidence that organic foods are truly healthier or safer in comparison to conventionally grown crops, the claim “environmentally friendly” has garnered special attention in recent years as the rallying justification for eating organic foods. 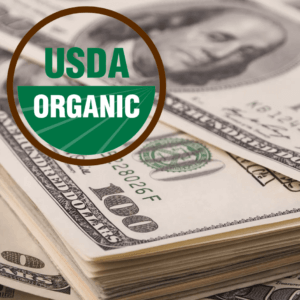 The Organic Trade Association (OTA), the leading mainstream lobbying group for the organic industry in the U.S., goes as far as to boast that eating more organic foods could mitigate or even reverse factors that contribute to human-induced climate change. 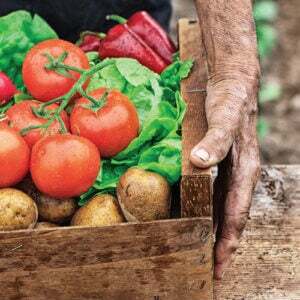 “Organic agriculture is based on practices that not only protect environmental health, but also improve it,” the organization advertises on its website. Those farming practices include manure composting, cover crops, and crop rotation, each of which put carbon into the soil. It should be noted that the paper is not a peer-reviewed article or event a real study. Far from it. It’s an opinion piece and what amounts to a public relations document by an advocacy group. But it’s widely cited by other organic promoters as if it’s fact and science. But not everyone is buying into the OTA’s assurances that organic farming results in a lower carbon footprint (and greater profits). Farmers, soil scientists, and agricultural scientists are especially skeptical because the organic industry’s utopic assertions just don’t hold up to scientific scrutiny. Comparing the carbon footprints of organic and conventional agriculture is complex. For an accurate life-cycle assessment, total carbon equivalency based on all activities related to farming must be evaluated and measured all year round. Carbon equivalency means that assessments must also include those of other greenhouse gases such as methane and nitrous oxide, which are about 24 times more potent or about 295 to 320 times more potent, respectively, as compared to carbon dioxide. Assessments by the organic industry and environmental groups too often overlook greenhouse gases emitted during the process of manure composting along with carbon releases from tillage, which are most commonly associated with organic systems, according to agriculture scientist Steve Savage. Combined with the need to use more land to produce equivalent crop yields and the need for more cows to produce manure to fertilize those crops, the evidence suggests that, despite all of the hyperbole surrounding organic farming community’s ideals, claims of a reduced environmental impact are just not grounded in reality. Large-scale commercial manure composting as compared to synthesizing nitrogen for farming. Machinery to haul around manure compost. Yields of organic farming versus conventional farming. Tillage of land of organic farming versus “no till” conventional farming. Cows needed for producing manure for organic and carbon equivalency of cow burping and flatulence. Let’s start with manure composting. Organic advocates often credit manure composting as the solution for returning lost carbon back into soil. Additionally, they say it reduces the need for the use of synthetic nitrogen fertilizer that is generated through a process that depends on burning fossil fuels. It’s estimated, in fact, that the amount of energy it takes to synthesize nitrogen to grow an acre of corn is about 30 gallons of gasoline. So, the use of manure compost is chalked up as the answer to avoiding the use of fossil fuels. Because manure compost holds more of the nitrogen inside the soil, preventing pooling or runoff, the manure compost also helps build up soil carbon while reducing emissions of nitrous oxide and methane. For all of fanfare about large-scale manure composting, however, Savage said it’s like having a “leaky pipe” releasing greenhouse gases into the environment long before it ever reaches the soil. The process of creating compost, for instance, is going to emit not only carbon dioxide, but also large amounts of methane and nitrous oxide that are far more concerning for the environment. “When you actually do the math on those emissions, it can be pretty substantial and that adds up over time. It becomes a lot greater number than what it takes to make synthetic nitrogen,” said Savage in a phone interview. Savage has calculated that organic use of manure composts releases about 12 to 14 times more in the equivalence of carbon emissions compared to conventional agriculture using synthetic nitrogen from fossil fuels. These are greenhouse gas emissions that are largely ignored in the Rodale Institute’s life-cycle assessments, he said. In fact, one global meta-analysis from the Research Institute of Organic Agriculture of Switzerland determined that organic farming led to greater nitrous oxide emissions, while having only a relatively small methane uptake, as compared to conventional farming from the soil. Still, there are other emissions released indirectly due to large-scale composting that are also not necessarily considered. These include emissions released during the act of hauling the manure from feedlots, food waste from recycling plants for compost, and the compost around itself to farms. It includes emissions released during the use of a tractor to turn the compost to maintain aerobic conditions. And it includes emissions released when tilling manure compost into the soil. That brings us to tillage itself. Tillage is the act of overturning the soil mechanically through ploughing or digging and hoeing. By itself, historically, it’s been the practice with the largest initial releases of carbon into the atmosphere. The reason is that when soils are tilled, it also destroys large networks of microorganisms and fungi that act like the glue that holds soil together. And advocates of organic farming often ignore the issue of land use, a key factor driving carbon emissions. So for organic farming to match production of conventional farming, it means cutting down more forest or using up more pasture to create farmland. Tillage is also one of the largest uses of fuel on nearly every organic farm. 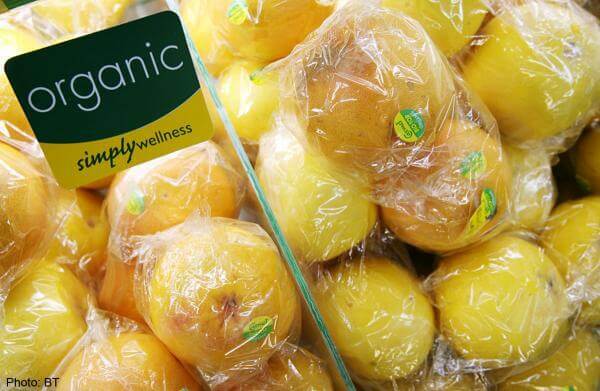 Related article: Is organic industry's messaging shifting away from fear mongering? Lower yields from organic agriculture in the face of a growing global population means more tillage of land. Overall the yield gap for organic and conventional corn and soybean crops could average out to as much as 30 percent, according to a 2011 policy brief by the Center for Agricultural and Rural Development. There are no honest studies that don’t show yield gap including those performed by organic proponents, such as one published by researchers at the University of California, Berkeley, which evaluated 115 studies with more than 1,000 comparisons of more than 50 crop species across approximately 36 countries. The paper found a near 20 percent lower yield for organic crops compared to conventional and recommended more investment in crop rotations and diversification to help close the gap. Yet tillage is needed as a step for controlling weeds on most organic farms because of prohibition of synthetic herbicides, which are used for “no-till” agriculture in conventional farming. The Rodale Institute’s white paper recognizes the problem of “marginal” practices of no-till or reduced-tillage on organic farms. 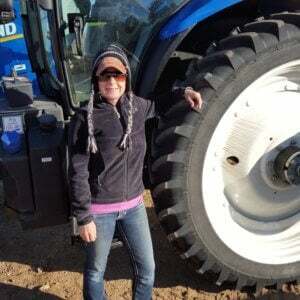 For these reasons, the organization has been working on a roller-crimper technique intended to squash cover crops or weeds as a method of organic “no-till” agriculture. But the fact is that the technology is unlikely to be available as a large-scale approach anytime soon. The scientific research evaluating “reduced-tillage” organic farming hasn’t been promising either. One study by soil scientist Jane Johnson and her colleagues from the USDA-Agriculture Research Service evaluated reduced-tillage farming in both the organic and conventional methods during a four-year rotation of corn, wheat, soybean, and alfalfa in Minnesota. The researchers used closed-vented chambers to monitor greenhouse gas emissions for three years during early spring thaws until late fall. During those four years, they found that yields varied, but averaged much lower for organic farming. In 2007 and 2008, for example, organic and conventional yields for soybean were found to be similar, but 2006 organic soybean was 90 percent lower than conventional yields. Organic and conventional corn yields were similar for 2007, but then organic was 60 percent lower than conventional in 2006, and 40 percent lower during 2008. In 2006, organic wheat also was 50 percent lower than conventional wheat yields. The researchers also found that while both conventional and reduced-tillage organic systems emit nitrous oxide emissions, the amount cumulatively represented 4.74 percent of nitrogen of the synthetic nitrogen added into the conventional system compared to 9.26 percent of the nitrogen from manure added to the organic system. Essentially, the organic farming system had nearly twice the nitrous oxide emissions for the same amount of nitrogen applied compared to the conventional system—for a smaller yield! Still the smaller yields requiring more acres of land for tillage doesn’t yet highlight what would likely be the single greatest threat on the environment were more conventional farmers to turn to organic farming—it’s the need for all the extra cattle to produce manure to fertilize those organic crops. The extra cattle would not just take up additional land; they’d lead to huge releases in greenhouse gas emissions resulting from manure production itself and from burping and farting. One estimate is that every individual cow lets out between 30 and fifty gallons of methane per day, from both its behind and mouth. If we wanted to reduce pesticide use and nitrogen runoff by turning all of the world’s farmland to organic farming, we’d need around 50% more farmland than we have today. Nobel Prize winner Norman Borlaug, whose work helped triple crop yields over the last 50 years and arguably saved billions from starvation, estimated before his death that the world would need an additional 5 to 6 billion head of cattle to produce enough manure to fertilize that farmland. There are only an estimated 1.3 billion cattle on the planet today. Combined, we’d need to chop down roughly half of the world’s remaining forest to grow crops and to graze cattle that produce enough manure to fertilize those crops. Clearing that much land would produce around 500 billion tons of CO2, or almost as much as the total cumulative CO2 emissions of the world thus far. And the cattle needed to fertilize that land would produce far more greenhouse gasses, in the form of methane, than all of agriculture does today, possibly enough to equal all human greenhouse gases emitted from all sources today. That’s not a viable path. Comparatively it’s a lot cleaner to skip the manure production and composting altogether. Instead, Savage suggests putting manure and organic waste into an anaerobic digester. An anaerobic digester collects methane and burns it as a carbon. The result is a carbon neutral effect since it started in the air, ends up in the plant, and then ends up in food before it’s released back into the atmosphere. Some water treatment plants and dairies have already invested in anaerobic digesters. 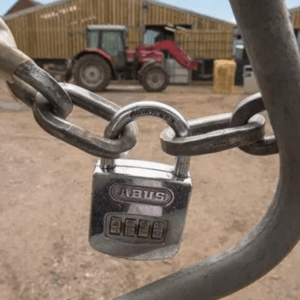 So have some farms such as Gills Onions, the big onion processor, which uses its anaerobic digester to take its stinky pile of skins and use it to generate electricity to run its plant. Nevertheless, most would agree that other organic-type practices to improve soil quality are useful for lowering agriculture’s carbon footprint overall. A good combination, according to Savage, is actually a mixture of typical organic farming practices like cover crops and crop rotations along with conventional farming practices that include no-till agriculture, genetically engineered crops, and the use of synthetic nitrogen fertilizer. That synthetic nitrogen fertilizer, after all, adds one other twist that is not often acknowledged by organic farming proponents. Organic farming is just as dependent if not more dependent on synthetic fertilizer—because cows don’t actually create nitrogen; they extract it from whatever foods they eat, which often is from conventional crops. That’s cow manure that would be better off left in the pasture, or placed in an anaerobic digester if sourced from a feedlot, Savage said. It’s better than being piled up and left to get hot, resulting in the production of even more potent greenhouse gases. David Despain, M.Sc., is a science and health journalist based in Gilbert, Ariz. Follow @daviddespain on Twitter.